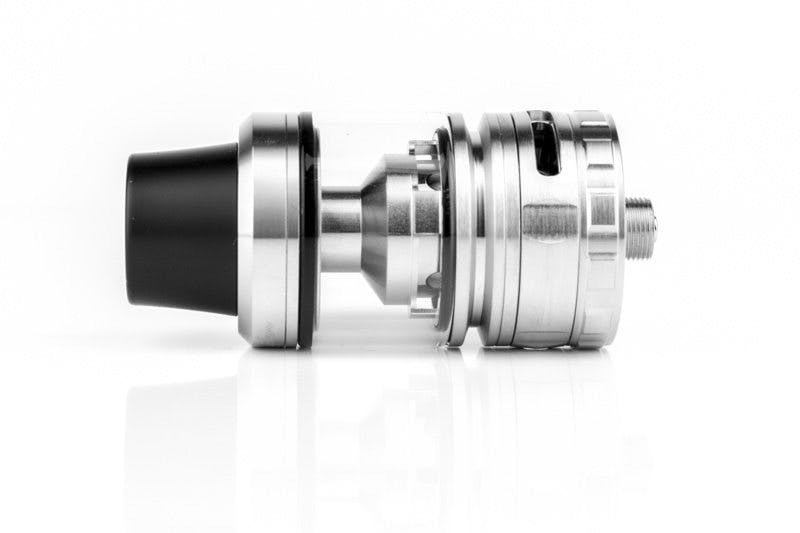 The Captain is a new sub ohm tank from IJOY. 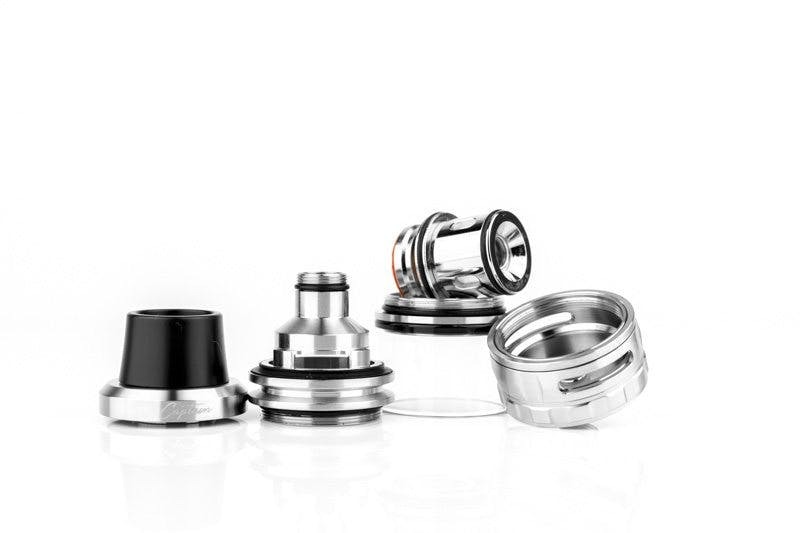 This 25 mm offering features threadless coilheads that can be easily inserted and switched out. At present two coil types are available and one of each is included in the kit to get you started. 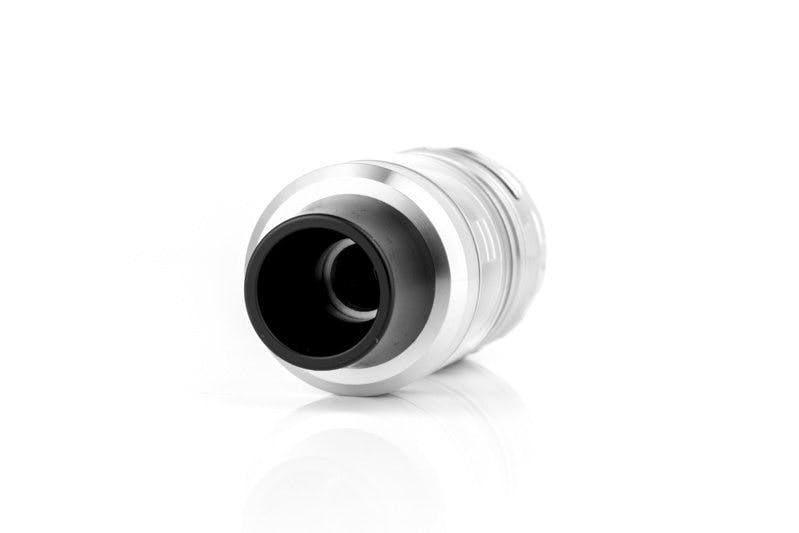 The Captain comes with a wide bore 810 Delrin drip tip as well as a 510 drip tip adapter. The vape tank is available in three capacities – 4 mL as standard, an extended 6 mL, and the obligatory 2 mL for TPD-compliant EU customers. 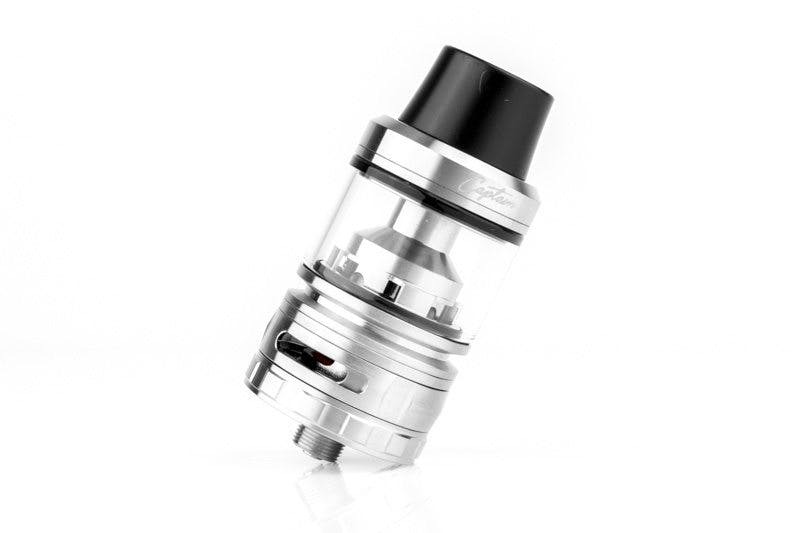 Let’s check out the Captain and see how this sub ohm tank performs..
Our 4 mL sample came with the stainless steel finish. It looks great on the Voopoo Drag mod(with minor overhang), but might look comical on a narrower or smaller box mod.